If you have not heard of Meerkat, I have one question for you. How are we even friends? I kid, I kid (partially). But seriously, I have not seen this much buzz about an app since the last Israeli internet sensation, Yo. Want to know what viral looks like? Search #Meerkat on Twitter. You’re lookin at it. So what is this Meerkat thing that literally everyone who works in tech is obsessed with? It is a mobile app that lets you go live, as in live video in literally one tap. Once you hit that Stream button, the app automatically tweets for you letting your followers know you are live. They can jump in to watch you and from that second on, anything that happens in Meerkat, happens on Twitter. They “like” the stream? That’s a Twitter favorite. They share the stream? A retweet. They leave a comment on the stream? A Twitter reply. I guess once you get that, you understand how this app has redefined the word “Viral” in just two weeks. But the Twitter integration aside, how did this happen? 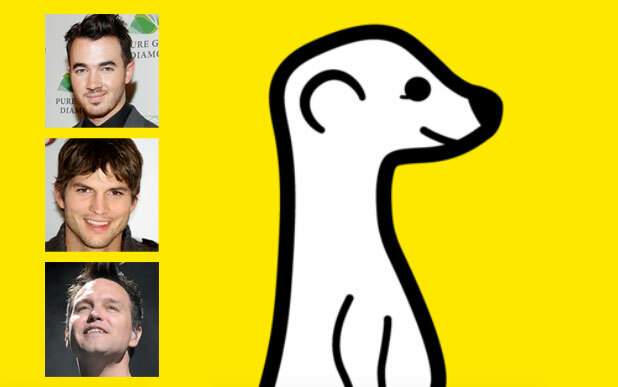 How has every single website on the internet, tech or not tech, written about Meerkat? How has CNN and NBC started using this app that was developed as a side project, an experiment, by a company sitting in Jaffa, Israel? How did this all go down? Before I get into my thoughts on the matter, let me just say that the viral nature of Meerkat is not just a geek thing. It is not just the techies who are excited about it, nor is it just some buzz. I “Meercasted” yesterday morning for an hour. An entire hour in which I sat and had a conversation with a CEO about his company and the tech industry as a whole. Now don’t get me wrong, it was an interesting conversation, but interesting conversations don’t usually have 100 people glued to their screen watching and listening the entire time. 100 people watched my stream and it generated almost 90 tweets. This level of engagement was remarkable to watch. So what is the secret? Is there even a secret? Was this just some luck? Will this hype sustain itself or will it die out in a matter of days? All legitimate questions that many are asking themselves. Of course, no one, including myself knows, but I do have thoughts on what caused all the buzz and I shared it on Twitter this morning in the tweets below. Obviously timing is everything and @AppMeerkat showed up at the right time. @ProductHunt is more popular than ever, the Apple event, SXSW. Timing is indeed everything and the company that was previously called Yevvo, then rebranded to Air, then released Meerkat, did it at the perfect time. That Friday afternoon when Meerkat was uploaded to Product Hunt by Ben Lang was apparently the ideal time to get the Product Hunt community’s attention and most importantly, the attention of its founder, Ryan Hoover. The second Ryan went live on Meerkat, it was game over. Then the Apple event, and the rest is history. FOMO or Fear of Missing Out. Non geeks ridicule us for it and even normal people can’t relate, but I can tell you that when someone I care about enough to follow on Twitter is live streaming, whether it is the way the Meerkat notifications work, or just basic human curiosity, it is extremely difficult not to jump in and watch the stream. Extremely difficult! Then there is the Twitter effect that I mentioned above. Listen, there are several social platforms out there, each of which has its unique advantages, but when something goes viral on Twitter, no other platform can even attempt to compete. An app that masters the art of leveraging the power of Twitter without being overly aggressive and spammy is a company that ultimately wins. Some think Meerkat is on the aggressive side in terms of the auto tweets etc. but the bottom line is, they nailed the Twitter integration in a major way. Like everything in life, there is another side to that story and the other side is that Meerkat’s growth, Meerkat’s success is 100% dependent on Twitter. How does Twitter feel about that? For now, it’s all good, besides, of course, the fact that Twitter just paid $50m for Meerkat’s direct competitor, which means that soon, live streaming will be part of Twitter itself. Where does that leave Meerkat? I can only pray for them. 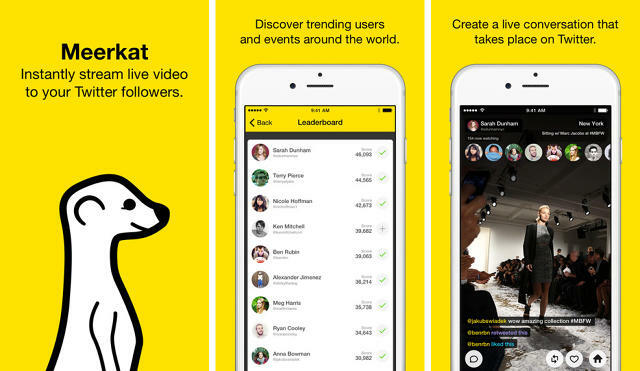 So Meerkat has the press, it has the viral effect, but what about the celebrities? I mean everyone wants a good Ashton Kutcher tweet now and again. Yep, they got that too. 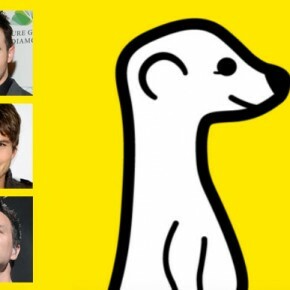 Investors, journalists, actors, comedians, everyone is there and each time someone like Jared Leto starts Meerkasting, it starts another domino effect of thousands of people hearing about and joining Meerkat. At the end of the day, some apps are magical. Not the Jony Ive “magical”, really magical. You feel the magic. @AppMeerkat captured that. In reality, I can go on and on about the Meerkat experience, but it would be difficult for me to truly capture the magic of going live and seeing 10, then 20, then 50, then 75, then 100 people tuning in to watch you live. Was there live streaming before Meerkat? Of course. Were there smartphones before the iPhone? See where I’m going with this? Try it. “Fine, I get it. Twitter, magic, viral, yada yada. But talk to me about the product. What is so special about it?” I will tell you what. Zero friction. You download it, you log in with Twitter and you are good to go in literally one tap. You can caption the tweet, but you don’t have to. Just hit Stream and you are live. Zero friction. If I had to compare the frictionless nature of Meerkat to something, I would compare it to the simple ability to take a ride in an Uber and pay without ever taking out your wallet. I mean so obvious, right? Well, sure it’s obvious now, but it wasn’t until someone thought of it. Get in the car, arrive at your destination and move on. Frictionless. So those are my thoughts on @AppMeerkat. Meeting the team on Monday and I’ll “Meerkast” it obviously. Hope they crush it at SXSW. I am looking forward to meeting Meerkat’s Co-Founder/ Head of Product this coming Monday, congratulating him, then telling him about all the ways I would improve Meerkat. Then again, what do I know? I am just a fan who loves Meerkasting. Of course, with every success story comes the haters. And Meerkat is no different. So many haters. “It is not sustainable.” “They didn’t really do anything different.” “It won’t go mainstream, it is just popular in the little tech bubble.” “It is not really that viral, just a lot of people echoing each other’s excitement.” To those people I say, I wish you this level of “non viral” for your product. As for what’s next, there are a lot of question marks, but if this team has shown us anything, it has shown us, time and time again, how flexible it is and how well it knows how to adapt. I hope Twitter keeps showing them love and doesn’t shut them down once they integrate Periscope. 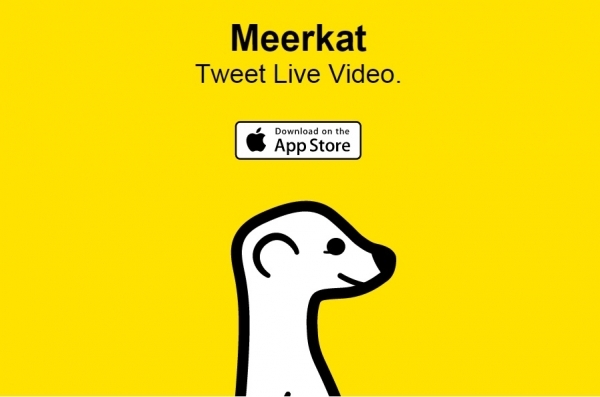 Having said that, in my humble opinion, Meerkat’s biggest challenge now is not Twitter. It is Meerkat. How do they keep this up? How do they capitalize on all this insane buzz? How do they play their cards? What is their next move? The good news? Meerkat has some pretty phenomenal investors who are heavily involved in helping to guide this company. If anyone can figure out how to leverage this success, it is Michael Eisenberg and Eden Shochat. So the press, the users, the celebrities, what else can possibly happen to this company? How about Obama? Check out his insanely talented Meerkater doing his Obama impersonation on Meerkat.